Let's face it not everyone is a fan of fish. And I don't know anyone who would want to eat fish every day. That is where fish oil supple-ments come in. But taking traditional fish oil supplements can be confusing since the dosage is based on the amount of EPA and DHA in the product, not on the total amount of fish oil. And since supplements vary in the amounts and ratios of EPA and DHA, one size doesn't fit all. After you have figured out how much of a particular product you need, you may find that getting an adequate amount of DHA and EPA requires taking 15 to 20 large capsules every day. 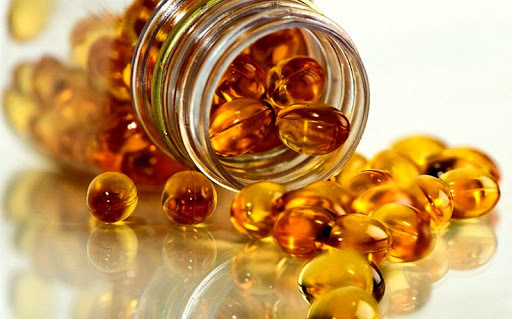 Your friends might think it is impressive when you tell them that you are taking 3,000 to 4,000 mg of fish oil each day. But what good is it if the DHA and EPA fatty acids aren't readily absorbed into your cells? Since the marine phospholipids contain DHA and EPA in a specific lo-cation on the carbon chain (sn-2), the fish oil is more absorbable. As mentioned previously, an analysis by NutriNov Analytic Center demon-strated that Vectomega is up to 50 times more absorbable. When a fish oil has superior absorbability, far less is needed to provide the same benefit. Instead of struggling with a handful of gelcaps, you only need to take one to two tablets, each providing 292 mg of a naturally oc-curring blend of DHA, EPA, phospholipids, and peptides. Based on this analysis, a daily dose of two Vectomega tablets gives you the equivalent of 2 to 4 grams of ordinary fish oil. There is also no fishy reflux, bad breath, burping, stomach upset, or diarrhea. Fish oils are extremely safe with no side effects or precautions. However, this cannot be said for high dosages of omega-3 fatty acids, which should be used cautiously by people who bruise easily, have a bleeding disorder, or take blood-thinning medications like warfarin (Coumadin) or clopidogrel (Plavix). Because of omega-3s' blood-thinning effect, always tell your doc-tor and dentist that you are taking a high-dose omega-3 supplement. This is especially important before surgery. Excessive amounts of omega-3 fatty acids may lead to bleeding. In fact, people who eat more than 3 grams of omega-3 fatty acids per day (equiv-alent to three servings of fish per day) may be at an increased risk for hemorrhagic stroke, a potentially fatal condition in which an artery in the brain leaks or ruptures. Other medications that can interact with fish oil are drugs used to lower blood sugar. If you are currently being treated with a drug for diabetes or insulin resistance, taking fish oil supplements may increase fasting blood-sugar levels. Use them with caution if taking blood sugar-lowering medications, such as glipizide (Glucotrol and Glucotrol XL), glyburide (Micronase or Diabeta), glucophage (Metformin), or insulin, as omega-3 fatty acids may increase your need for the medication(s). As you can tell, I am a firm believer in Vectomega I take it every day. However, it isn't a magic bullet that will fix whatever ails you. It is, how-ever, an excellent addition to a healthy lifestyle that includes an antiox-idant-rich diet based on organic foods when possible, a regular exercise program, and plenty of good-quality sleep. And don't forget your spiritual and emotional health. Pray or meditate daily, practice stress reduction, immerse yourself in activities you love, and, most importantly, surround yourself with loving and supportive family and friends. It's the perfect formula for optimum health and happiness.